My kids are all unique! They all have very unique personalities that reflect in their style, their fashion, how they wear their hair, etc. All product for this review/feature was sent free of charge by the company. I was not offered any monetary compensation by posting my honest feelings on this product. A few of my kids like to "STAND OUT" in a crowd. 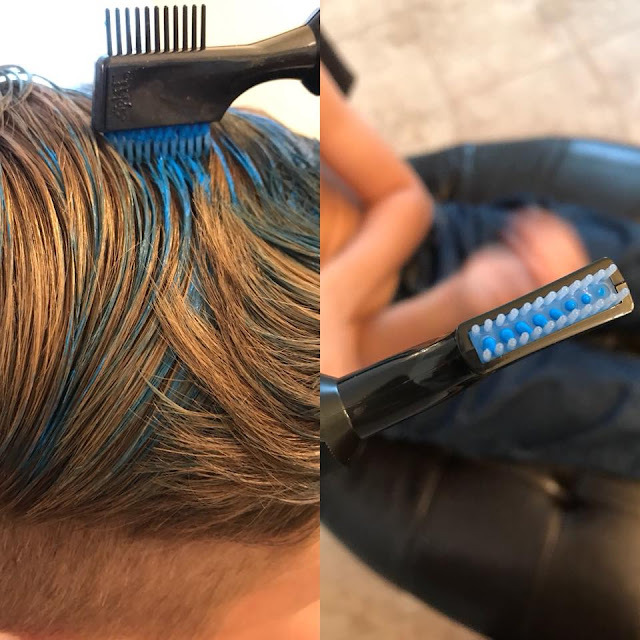 My oldest "bonus son" has had his hair dyed several permanent bright colors. And trust me, he definitely stands out in a crowd. Being a family who loves the DODGERS, it's fun to sometimes get all decked out in DODGER BLUE to attend a baseball game or even just cheer them on from our couch. OPENING DAY THIS YEAR IS THURSDAY!! We will be cheering for our boys in blue! And thanks to Splat Hair Color, we may have a few sporting temporary BOLDER BLUE hair. This kit is so fun and so easy! 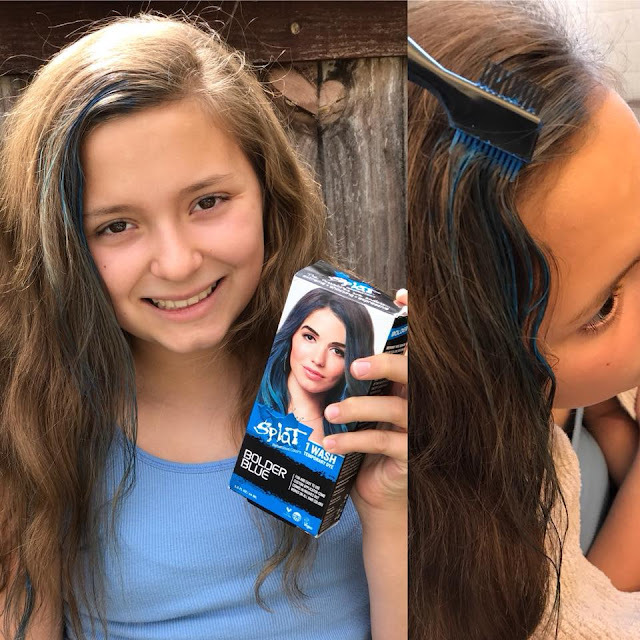 You apply it (the tube with application comb just slides along the hair with ease), let it dry and enjoy your newly BLUE colored hair. The best part, when you're done with the event, you wash it and the temporary hair dye completely washes out. 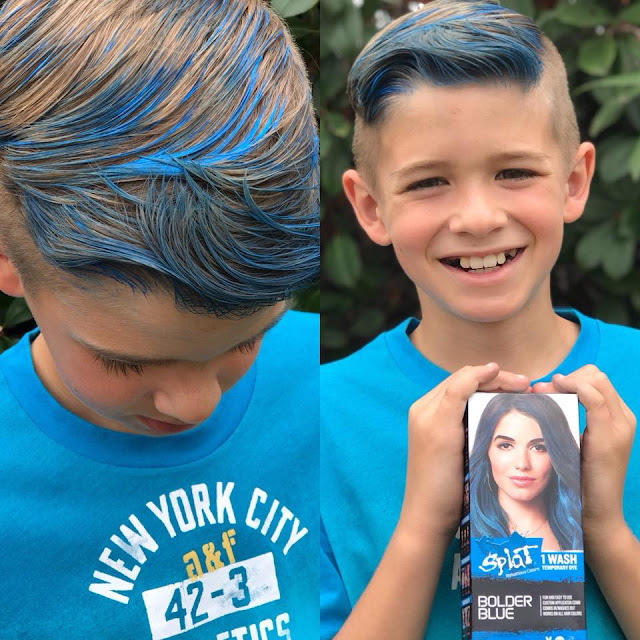 However, my kids loved the temporary BOLDER BLUE hair they sported for the day! In fact, I think it was a little confidence booster, especially for my youngest son. He loved it! And yes, he looked like he was from the set of Disney's Descendents movie...which he thought was pretty cool too! 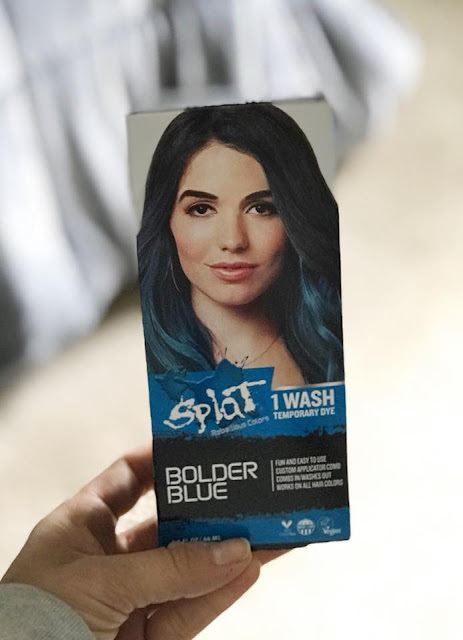 Splat Hair Color's 1 Wash Temporary Dye is inexpensive at around $6.99, and can last a couple applications depending on how much COLOR you're adding to your hair. I did both my younger kids hair and we still have plenty left over for Thursday's OPENING DAY for the Dodgers. 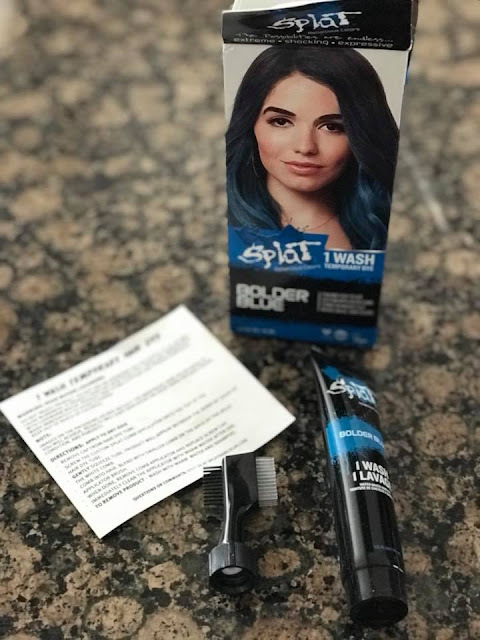 CLICK HERE to find out where Splat Hair Color is sold (and the other options...that are longer lasting) and add a little COLOR to your life today!